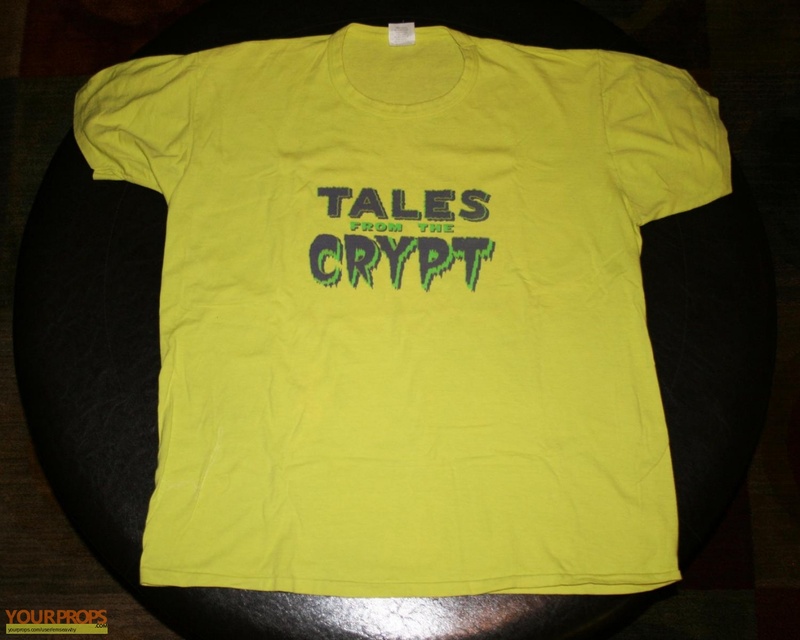 I got this crew shirt back in the '90s when I worked on HBO's Tales From The Crypt. I actually worked on the makeup effects crew that built the Crypt Keeper. I worked on several seasons, so I don't remember for sure which season I got it. I did wear this, but it is still in decent condition. The color is more of a fluorescent yellow. There is a tiny, pin-size hole in the back where the left shoulder blade rests. It is marked "One Size Fits All" but the size seems more like XL. 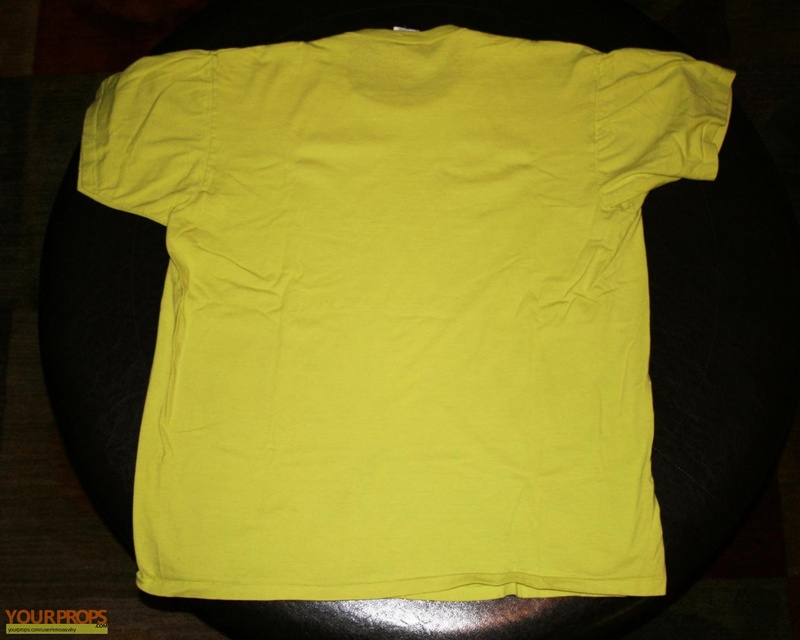 The shirt is 100% cotton. view all 4 items of "emseawhy"
** The content of this listing is the sole responsibility of emseawhy. Yourprops.com, its owners, agents and assigns assume no liability.